Hockey lovers – here’s one for you. Actually, this is for anyone who’s gluten-free. 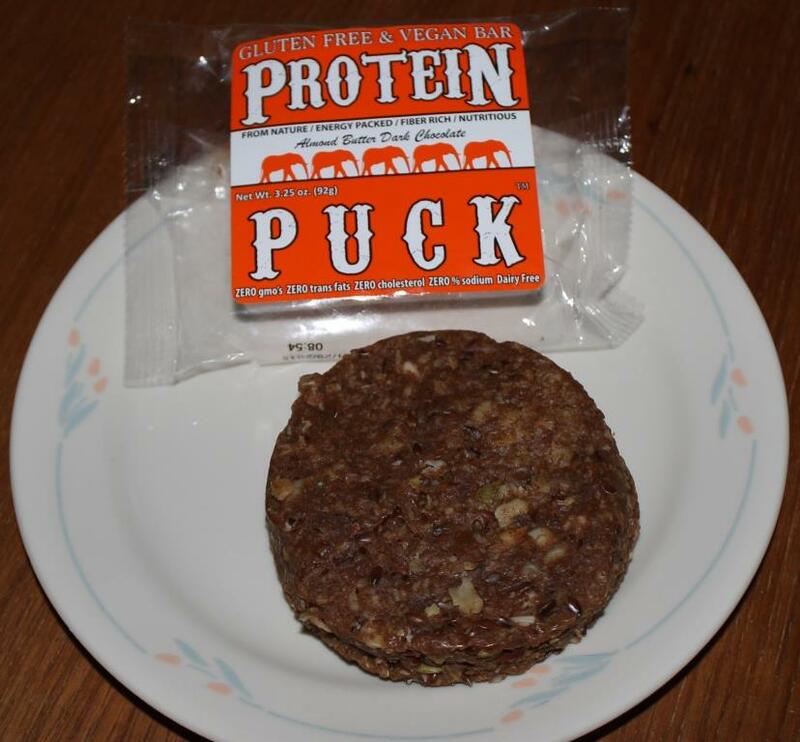 It’s the Protein Puck. Perfectly round, but not quite regulation size. (sorry, that was a hockey pun, people!) I discovered these at Eagle Ice Arena in Spokane, but I’ve seen them sold elsewhere. It looks more like a pre-made hamburger patty than a puck, actually. This is also one of those cases where you open a package and eat the entire thing only to find out it was two servings, not one. That’s quite common with these snacks and cookies. However, the next time I purchased one, I didn’t find it that difficult to portion it at all. It is very dense and filling. If you like almonds, you will love this. 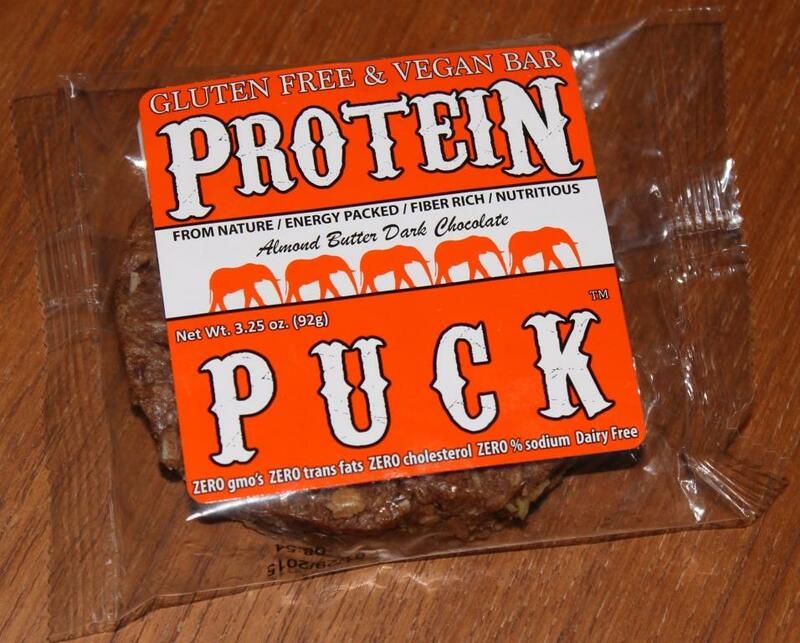 The Protein Puck is certified gluten-free. You can learn more about them at http://www.myproteinpuck.com/.